The 14th annual I-70 Baseball Coaches Clinic will be held on 2017 Martin Luther King Weekend- Sunday night 1/15 and Monday 1/16. We are very excited to announce our speaker lineup and will put this lineup up against anyone’s. 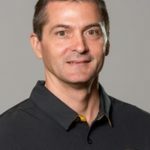 University of Missouri Head Coach Steve Bieser will join us in January and speak twice. We are very excited to bring Coach Bieser here- he has experience as a State Champion High School Coach at Vianny in St. Louis and has excelled at SEMO and now is the head coach of the Missouri Tigers in the SEC! 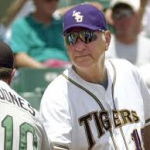 Former LSU Baseball Coach Skip Bertman – LSU – 5 College World Series Titles. 6-time national coach of the year. Anthony Iapoce – Hitting Coach, Texas Rangers. Butch Thompson – Head Coach, Auburn. Former Pitching Coach- Mississippi State.